I know some of you were expecting this week’s post to see the wine kit ‘in action’, but last week was ‘one of those weeks’ and I didn’t get a chance to get that started. But since Hovering Hubby is home today for the holiday, he’s planning to keep the Princess Nagger occupied so I can get the Blackberry Merlot bottled today finally…for those of you who have been waiting patiently for that event to occur. One of the reasons for the delay in bottling that wine (aside from life getting hectic) was that hubby really wanted me to wait until he was home so he could see the motorized filter in action… yes, he’s easily amused, why do you ask? Once that wine is bottled, my carboys will be empty and available for the kit wine – I wanted to make sure I had some available before I started, in case the fermentation process goes faster than I anticipate. Next week you’ll get to see ‘the action’ in pictures. Meanwhile, since I decided on a whim to brew another batch of Kahlua this weekend, I thought I’d share that process with you, too. I make several quadruple batches of Kahlua every year to include in Christmas gift baskets, since it’s one of the main requests (and fastest sellers) through Princess Nagger Wine & Gifts. Over the past several years I’ve honed the process to make sure that every batch turns out much better than store-bought. Every. Single. Time. Although it was hit-and-miss at first, because I could never find a recipe online that I really, really liked. So combining about 10 different ones, I finally created ‘the one‘ that works each time I do it. One of these days I’m going to find an excellent decaf coffee to make a decaf version, too. If anyone has any recommendations, let me know – whole beans or ground work for me! 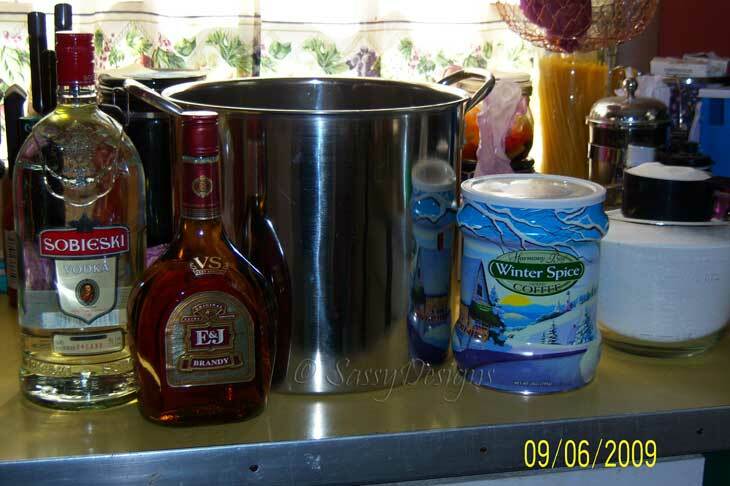 cups vodka and brandy (I use a 1.75 liter bottle of vodka, then top off the rest with brandy*). I read somewhere that one of the ‘secrets’ to making the best Kahlua is to use 100% Arabica coffee, so there ya go. 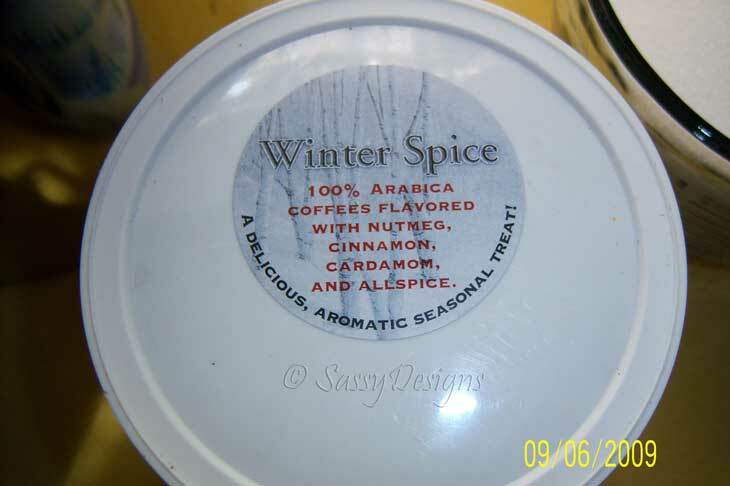 Plus the extra flavors of nutmeg, cinnamon, cardamom and allspice really give the Kahlua a ‘festive’ flavor. It’s not overpowering, so if you’re not a fan of those particular spices, it doesn’t annoy your taste buds. And let cool completely to room temperature. I’ve added the vanilla beans while the mixture was still warm, so the vanilla infuses a little stronger/faster. 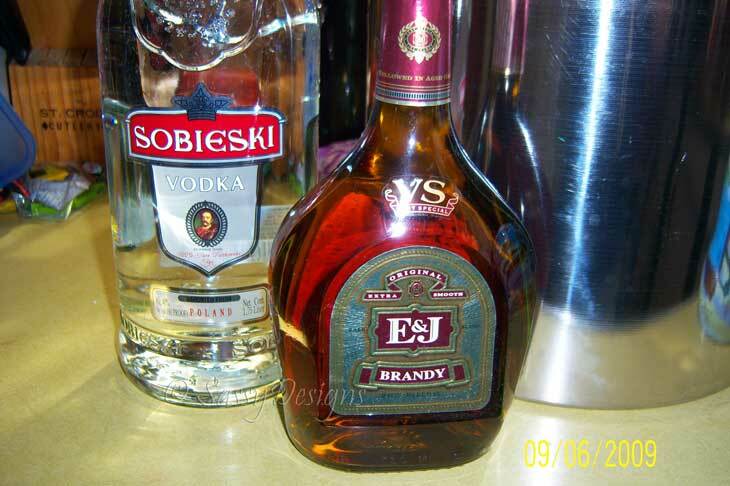 Once completely cooled to room temperature, carefully stir vodka and brandy into the mix. You don’t want to add the liquor when the coffee/sugar mixture is hot, it will ‘cook off’ the alcohol from the vodka and brandy…you want to keep that alcohol content! If you haven’t already added the vanilla beans, do so now. 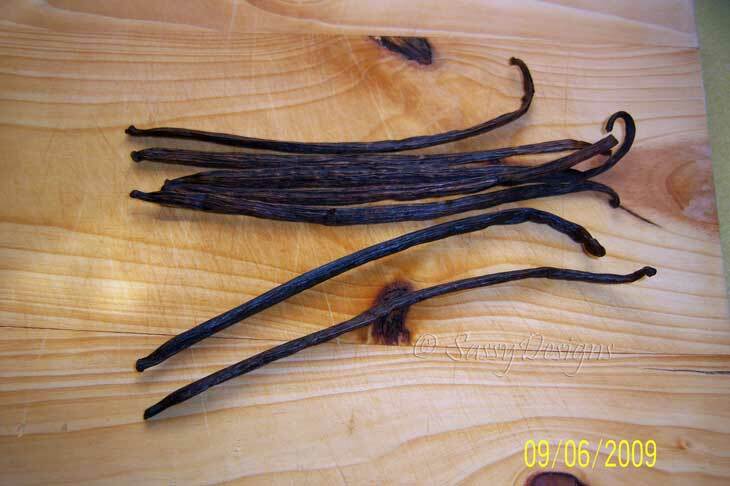 If you don’t have vanilla beans, use real vanilla extract and stir in with the vodka and brandy. I cannot stress enough that you do not want to use ‘imitation’ vanilla extract. Why? 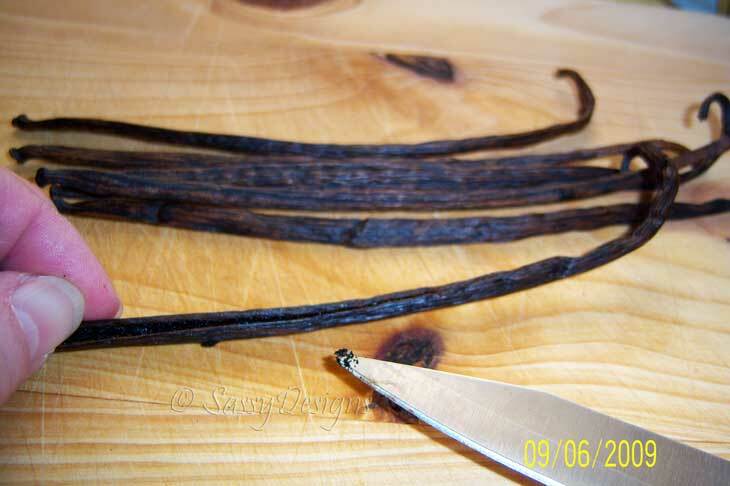 Imitation vanilla is highly inferior to pure vanilla. You can make your own vanilla extract, too – yes, I have a mason jar in my cupboard with my own homemade vanilla extract…bet you’re not surprised, are you (Casey)? 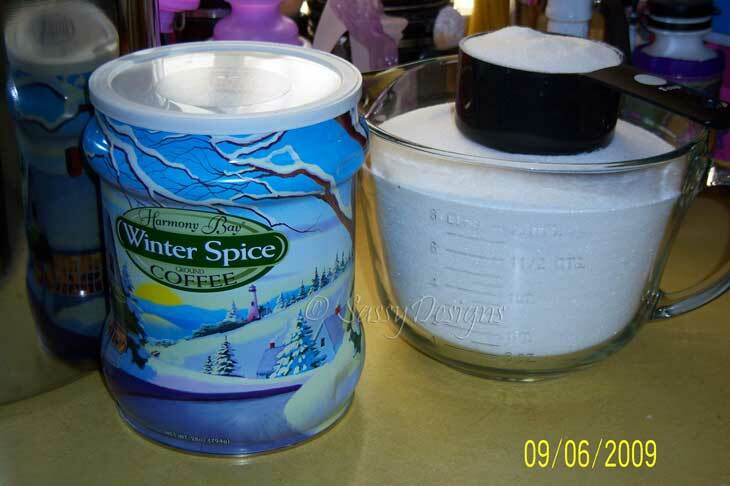 I use it for all my baking, but I still prefer to use whole vanilla beans for the Kahlua. Let me know if you’d like me to post the recipe for that…it’s really easy! OK, back to the actual topic…sorry for the tangent! 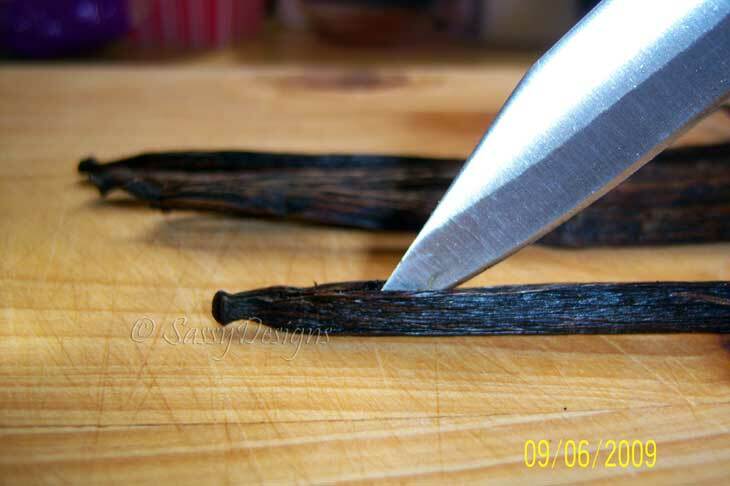 If you’ve added vanilla beans after the brew has cooled, let sit for 24-48 hours to let the vanilla infuse. I’ll let the mix sit overnight so the vanilla beans can infuse with the added liquor, too. Taste test it along the way until you like how it tastes. Once you’ve achieved the excellent taste, remove the vanilla beans and transfer your Kahlua to wine or liqueur bottles and cork – you can also add vegetable glycerin to the concoction if you want the consistency to be a bit ‘thicker’ like the store bought. I happen to have some on hand, so I added a few glugs to ‘finish’ it. I’ve let the concoction sit with the vanilla beans in them overnight, so I’ll be bottling it today, then finishing the bottles with shrink caps and custom labels. Instead of regular corks, I use T-corks (aka tasting corks) so people won’t have to use a wine opener to open the bottle, and can re-cork the bottle easily. Once I get them bottled today, I’ll revise the recipe list to add how many empty bottles are needed to bottle this particular amount. Since I usually do multiple batches at once, I can never remember exactly how many bottles are needed until I’m ready to bottle. The Kahlua is drinkable immediately, or let sit for a month (or more) to let the flavors really become enhanced. The longer it sits in a cool, dark place, the better the final taste will be. 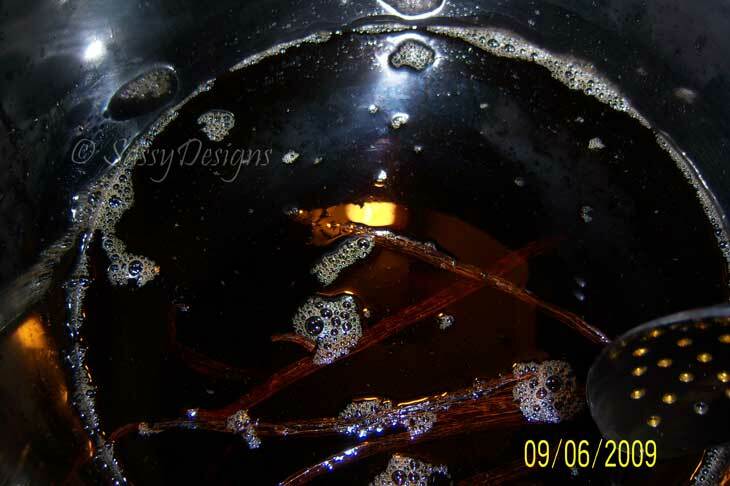 This entry was posted in Homemade Kahlua, Homemade Wine, Homemaker Mondays, Make Something Monday, Mouthwatering Mondays, Recipes, Wine, Wine Making, Winemaking and tagged Homemade Wine, Kahlua, Wine Making, Winemaking by Stacy (the Random Cool Chick). Bookmark the permalink. You amaze me. I would never have even thought of making home made kahlua! Very interesting. I love the Harmony Bay coffee! Thanks for the info about vanilla. I don't use imitation, but didn't know the facts! I would of course love to see your recipe for vanilla extract! Maybe that will be one I feel I can handle! Good luck with the wine today! HAHAHA! You think hit 40 knew that in her head! HAHAHAHA! This sounds wonderful, I may have to try it some time. I hope I make a year blogging. I don't like kahlua but making your own wine sounds kinda cool. I can't wait for the blackberry wine post! My mom always made her own Kahlua. It was the best! I wish I had her recipe… I think I will give yours a try. Wow look at you go. I would have given up and just went and bought it at the store. Now, that is most impressive! That really sounds good. I so want to try it. Sounds so yummy! I have never heard of that kind of coffee before, I will have to look for it. anything with coffee…yum. hope you have a great labor day! Oh WOW, this is so clever – you have the most gorgeous site here and I had to stop by to leave this comment for you – and to say hello of course ! Your posts are creative and original and you have interesting pictures. It's all perfect ! Thank you for sharing your site and best wishes…. I love Kahlua. What's there not to love? I love it on vanilla ice cream. fantastic – and Happy Blogoversary eve. 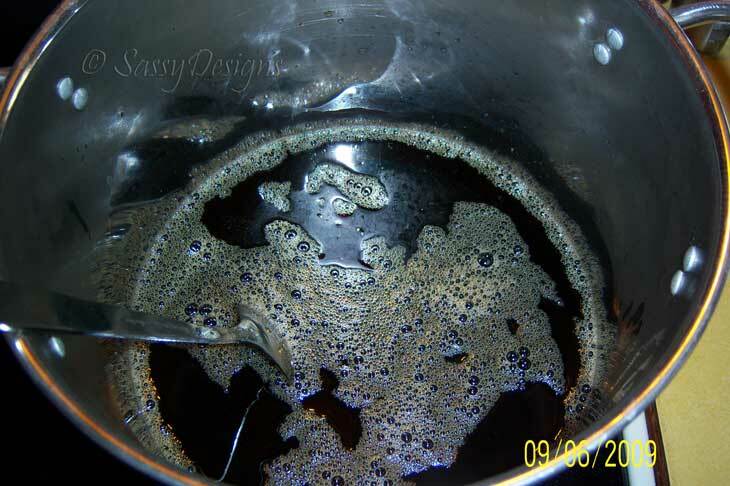 As Arnold says, "I'll be back"
I made kahlua in college and had the worst hangover ever…been a few years, ok a lot, so I might just give your recipe a try. Do you find better liquors make a difference? Thanks for stopping by, I will be back here too. Yes, I do want your homemade vanilla recipe! Is there anything you can't make?!? How cool! I can tell you my MIL makes that recipe and it's AWE-SOME! Really really good! My neighbor made this once for us for Christmas. She gave me the recipe but I lost it. Of course she would give it again (she knows I'm a bubble brain) but now I have bookmarked this page. I can't wait to try it. I used to make home made Kahlua an it was OK, I think I will try your recipe and hit it out of the park! Holy crap, that's the tallest damn pan I've ever seen. And I can't even blame the Kahlua since I haven't been drinking. Wow – this is so creative! And I bet it's really FUN to make! 😉 When winter shows up I'm totally going to drown my sorrows…. How awesomely cool are you for making your own kahlua! I'm beyond impressed! LOVE Homemade Kahlua! My parents made it while we were growing up and I used to make it and give it to friends for Christmas gifts!!! I am very impressed by your liquor skills!! Very cool. 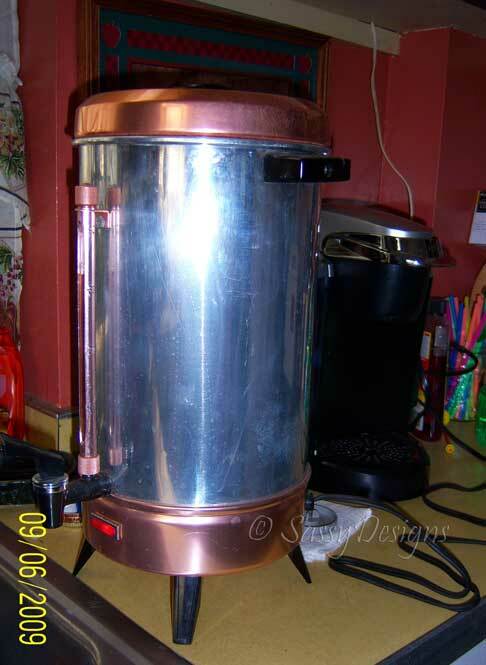 My husband has always wanted to try to brew his own beer. He can hardly make a grilled cheese…. so I doubt he will ever figure out how to really brew a good moonshine. Thanks for sharing i will definitely try it.I am not sure how good it will be but definitely i will prepare it. I'd love to hear (see) how you make vanilla extract, too. I am also very found of making Kahlua at home. i love this. on next weekend i will try your recipe. not this weekend. as i am going to cigar party arranged by my friend.